Digital print engines manufacturer Industrial Inkjet UK (IIJ) has established a US based subsidiary. The new corporation will do business as Industrial Inkjet USA and will be situated in Golden, Colorado. For several years, IIJ has staffed experts in inkjet system engineering, manufacturing and service in the North American markets. The latest move will enable customers to do business directly with a US-based firm. The new US division is expected to improve sales, services and support directly to American customers and will allow the company to work during the US workday and make sales in US dollars. Graham Vicek will be the president of the new division. According to IIJ, the US division’s office has been setup as an ideal space for training and client demonstrations. The office is also claimed to be in close proximity to the Denver International Airport, which is a major hub for domestic travel. IIJ managing director John Corrall said: “It makes perfect sense for us to establish the US corporation to provide local support and services to our growing North American activity. As we expand our operations in the US, we have a huge amount of investment and activity planned in North America. 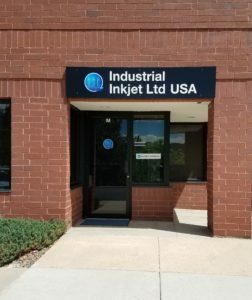 IIJ USA president Graham Vlcek said: “The US team will leverage the extensive capabilities and services in the UK; inkjet systems, product design, process development, ink R&D, etc., as we establish similar capabilities here. IIJ will be staffing out the US team in the coming months. Image: IIJ opens new division in the US. Photo: Courtesy of Industrial Inkjet Ltd.